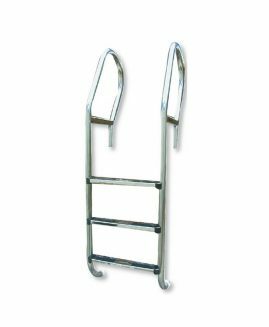 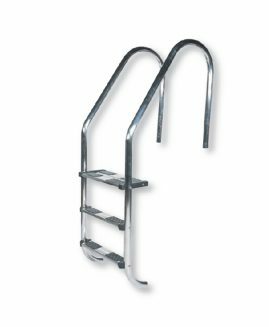 Split stainless steel pool ladder witn rails and non-slip Luxe steps made in AISI-316 stainles steel. 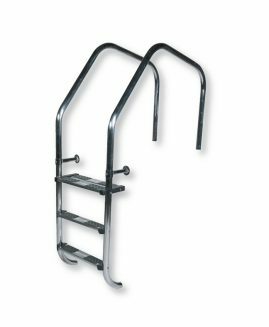 Complete with top and bottom flange fixings. 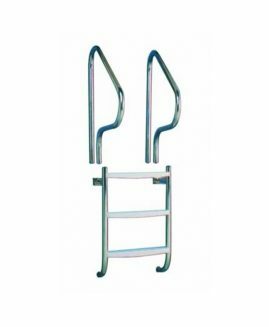 Can be used with any type of exit rails.